This yellow and green shirt is very bright in normal lighting, but can appear quite subdued on the show. It has white buttons and a very hard to see left breast pocket. In Changing Channels (5x08), Sam wears it on the Japanese game show. 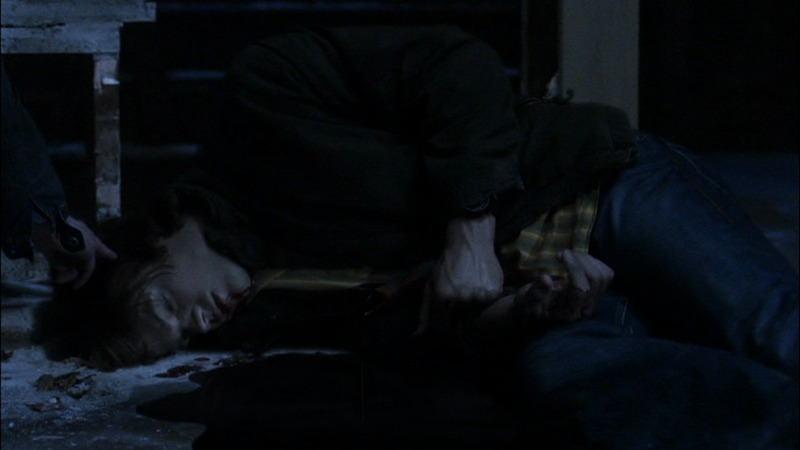 In The Song Remains The Same (5x13), Sam wears it before Cas sends him back in time, and while he is in 1978. He changes out of it after Michael resurrects and returns him to 2010. 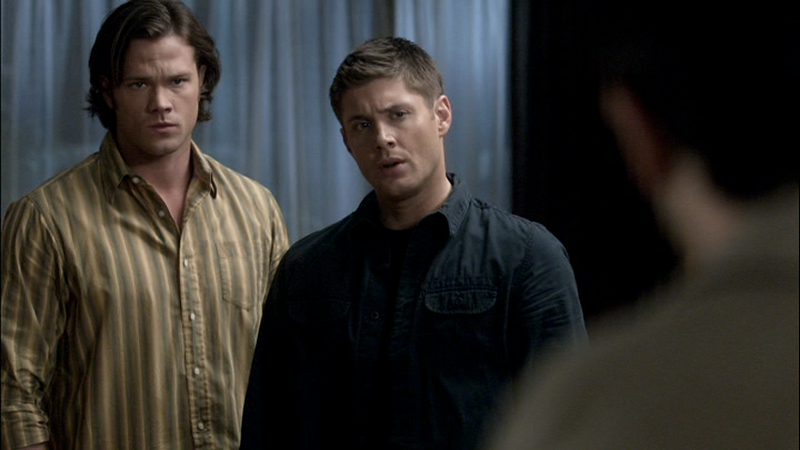 In Clap Hands If You Believe (6x09), Sam wears this shirt when he and Dean go to talk with the fairy-enthusiast-lady. He wears it until he successfully banishes the fairies. 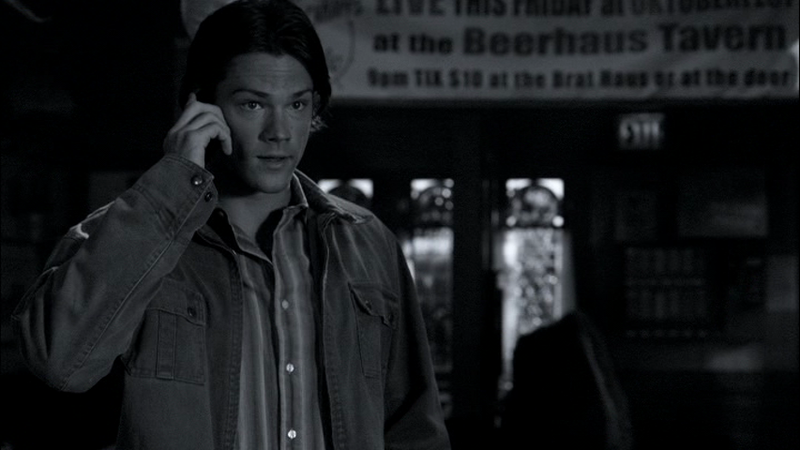 In My Heart Will Go On (6x17), Sam wears this shirt when he and Dean go to check out the travel agency death. He keeps it on until after they talk to Balthazar. In The Slice Girls (7x13), Sam is wearing this shirt at the very beginning of the episode as he and Dean travel to the newest job.